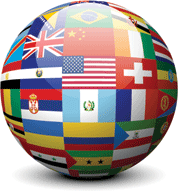 Google's Jens O. Meiert and Tony Ruscoe posted on the Google Webmaster Blog 6 quick tips for international web sites. This is a topic we covered a lot and honestly is somewhat foreign (pun) to me. Now, a WebmasterWorld thread asked why is Google saying to use the language attribute when it doesn't seem to work. One webmaster said, "Google ignores code level language informations," so why are they recommending it? Do they really ignore that information? I didn't think they do. In any event, feel free to join the discussion on these tips in the forums.